I never got around to writing a review for the Holiday Ale I made this winter. I still have some left and brought a couple over to Dave's a week or so ago so he could try it. As you can see from the photo below, like most of my beers, it is a heady beast! I'll be honest, I poured this one to really show off the head, because the tiny bubbles flow up the pint glass from the inside/bottom much like they do with a glass of Guiness. 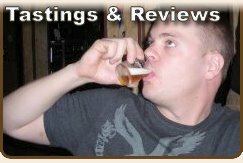 And now, in the interest of gaining closure on the whole Holiday Ale brew, here's Dave's VERY short review, before the digital camera crapped out on us... Take it away Dave! I like the pour on that beer! I have been really disappointed with my carbonation lately. How much corn sugar did you use for that batch? By the way, I have no idea how I found your blog. Maybe The Session? Maybe you left a comment on another blog I read? 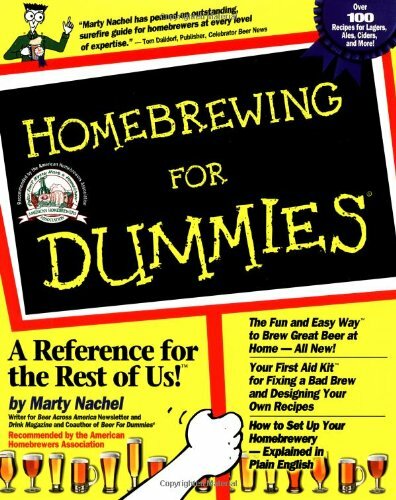 Maybe it was my ESP that led me to a home brewing beer blog. Keep in mind I made this beer from a Brewer's Best recipe kit, it's one of those partial grain kits. 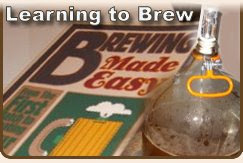 (I'm still learning to brew after all.) My plan is to start moving past kits by the summer, stay tuned for details. I think the kit came with a standard 5 oz package of priming sugar, if memory serves. I think the real issue is my tap water. Every batch I make has a lot of head, and the beer tends to have that "unfiltered" look to it. My local homebrew supply guy tells me my water is probably too had, or was that too soft... Well, it's one or the other. 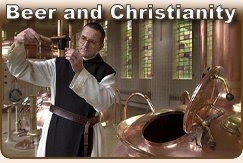 I think, the next time I brew something that should be very clear, I'll pick up some recommended water additives from the supply store and see if it clears the water, and reduces the head. Again, stay tuned. Where do the candidates stand on home brewing?